Learn basic wire wrapping and a beautiful way to use sea glass. 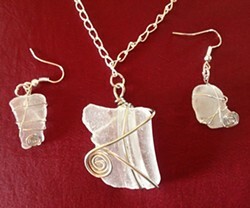 Materials and tools provided to make one necklace and two earrings, or bring your own sea glass. Preregistration required.